First Lady Auxillia Mnangagwa ordered a Member of Parliament and a traditional chief removed from an event she had organised, ZimLive can reveal. Mnangagwa recently spent two weeks in New York, the United States, where she travelled five days ahead of a United Nations summit on women, it is reported at the invitation of Women's Affairs Minister Sithembiso Nyoni. She travelled to the province of her birth, Mashonaland Central, on Wednesday seeking a greater influence for herself in Mazowe Central constituency. ZimLive understands enroute to the constituency where she wanted to identify projects she could support, Mnangagwa demanded to know who would be occupying the VIP tent with her. On being advised that local MP Sydney Chidamba was present as well as Chief Lucious Chitsinde Negomo, she advised her security aides that she did not want to see the two. "She gave instructions that the two must have nothing to do with her visit. The first lady did not want to see them. Chidamba and Chief Negomo were chucked out of the event, and they vowed never to attend her programmes," a security source briefed on the event told ZimLive. Chidamba is the brother to former Cabinet minister Nicholas Goche's wife. The MP was previously married to former first lady Grace Mugabe's sister, Rose Chidhakwa. "Goche and Grace Mugabe of course are seen as lynchpins of the so-called G40 faction in Zanu-PF. 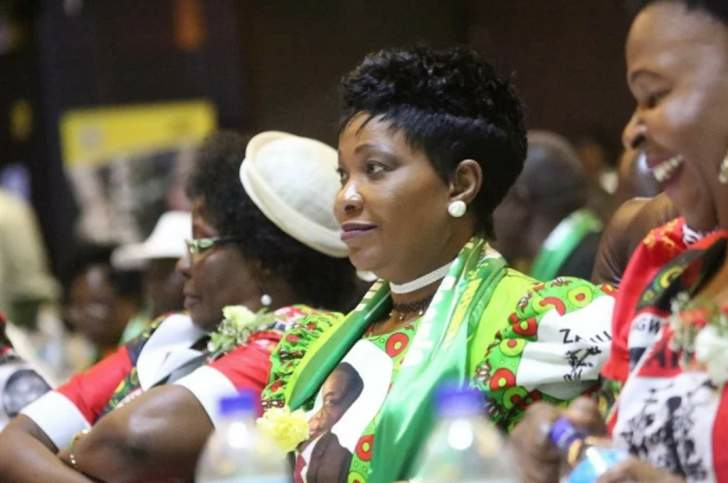 The first lady blames the chief and Chidamba of participating in previous attempts to block her from running for MP in that constituency," the source added. President Emmerson Mnanagwa's wife is seen actively trying to sideline Chidamba, with speculation in the province that she wants to pave way for her brother Paradzai Kutyauripo – recently appointed director of state residencies – to capture the constituency in the next elections in 2023. The first lady visited Negomo Irrigation Scheme for a general assessment. The scheme is in her ward of birth, and she told locals she was keen to see how she can assist farmers. She also toured Rosa Clinic, her birth place, and donated medical supplies and food items. State media reported that Mnangagwa "had to cut short her attendance at the 63rd UN Commission on the Status of Women on Monday to assist citizens affected by Cyclone Idai that has so far claimed 139 lives in Zimbabwe." Chidamba declined to comment for this story, while Chief Negomo could not be reached for comment.